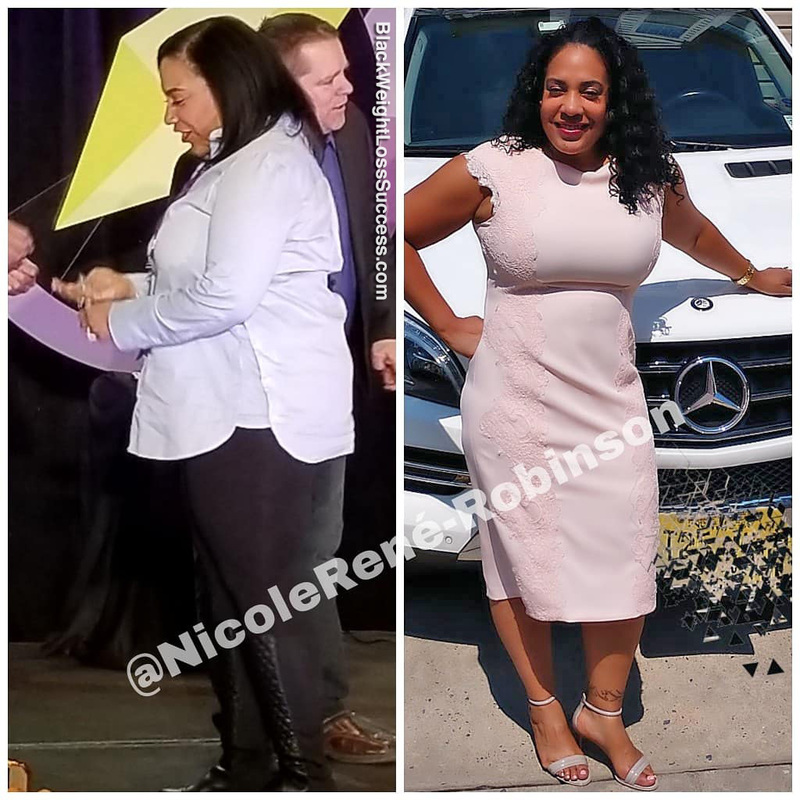 Transformation of the Day: Nicole lost 34 pounds. At 49 years old, the weight wasn’t coming off as quickly as it used to, and she was faced with joint pain and high blood pressure. She decided to eat healthier food and work with a personal trainer to get results. Check out her story. What was your motivation? What inspired you to keep going during the tough times? towards an early grave. I needed to do better for my family. At 49 years old, the weight didn’t come off as easy as it used to. I look back at pictures and say to myself, “Who is that person?”. I don’t recognize myself. Sometimes, we begin to get complacent in thinking that things can’t or will never change. I still can’t believe I had to buy a size 22 dress and that I weighed 233 pounds at my heaviest weight. I knew it was time to make a change. I don’t always eat all the right foods, but I try to eat less of the bad stuff. That’s the way I needed to tackle this journey, one step at a time. When you take on too much, you’ll want to quit. I’ve replaced one meal a day with a protein shake that is low in sugar and packs a lot of good stuff for your body. I also incorporated something I call weight loss candy. It helps to increase my metabolism, which seemed to be going in reverse (not just stopped)! I still struggle with eating right, but now I know how to eat better. I am not a fan of dieting because I feel like when we deprive ourselves, we binge eat. I also don’t really cook, so meal prepping is not an option for me. What did you do in terms of exercise? I invested in myself by hiring a personal trainer. I don’t have the discipline to go to the gym, so this helped me be more accountable to ME! My starting weight was 233 pounds. I am PROUD to say I am down to 199 pounds and I’m still going! My height is 5’6″. My transformation took 3 months! I am a work in progress. What advice would you like to share with people who want to lose weight? The journey is not easy, but if you are serious and committed, you can do it! I wasn’t afraid to ask for help or use healthy weight loss options. I am curious about this weight loss candy?